Rombout Hunt’s extraordinary heritage dates back to 1926 starting with Huntsman, Homer B. Gray, who is prominently featured in the Museum of Hounds and Hunting in Morven Park, Leesburg, Virginia. It is our wish that Rombout continues to grow and prosper as we head towards our 100th Anniversary in 2026. We look forward with great anticipation to each new hunt season as we share our love and commitment to the sport of foxhunting, now and well into the future. 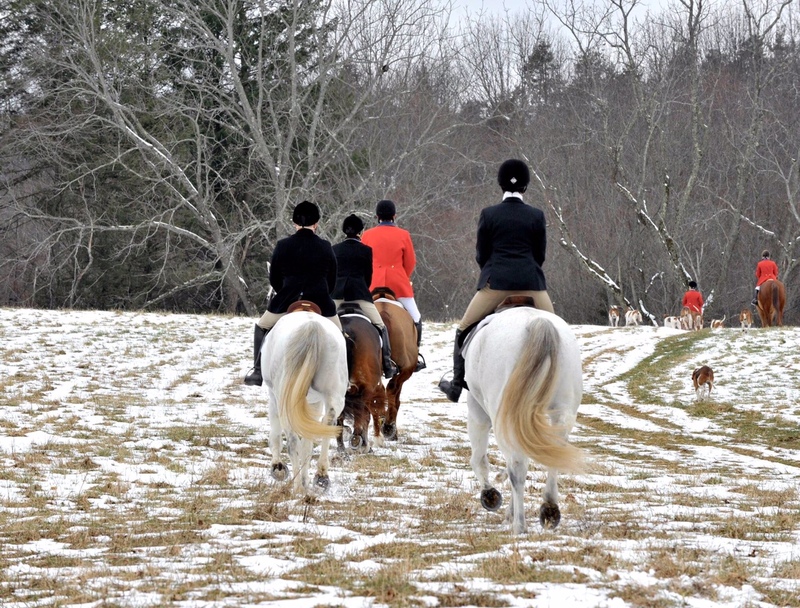 Together, with your help and dedication, we will strive to keep the tradition of fox hunting and equestrian sports alive and well in Dutchess County. Our stunningly beautiful county must remain open to the very animals that helped build it. Foxhunting is a union of humans and creatures in the beauty of nature’s setting. Man is an observer mounted on a horse, the vehicle that allows him to follow and survey the hounds as they hunt the fox. The drama of fox and hounds plays out before the foxhunters’ eyes and ears with the sound of the huntsman’s hunting horn as hounds give chase. The fox or coyote maneuvers, circles and makes it way through the countryside, cunningly evading the hounds. Man is the audience privileged to watch, as hounds and fox or coyote, the actors, unveil the plot with never, ever the same act repeated twice. Rombout depends upon our gracious landowners for our territory and relies on members and staff to keep trails open. We are grateful to all for this majestic country and we hope you will join us throughout the season, every year!